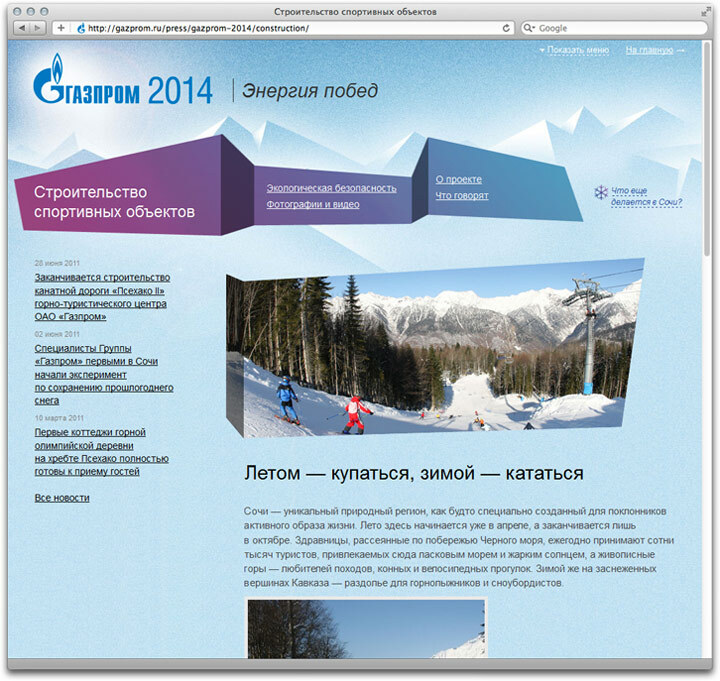 Within the Olympics 2014 preparation program, Gazprom is building new infrastructure and power facilities. The website’s purpose is to keep you posted on the progress. The front page displays the main parts of the project. 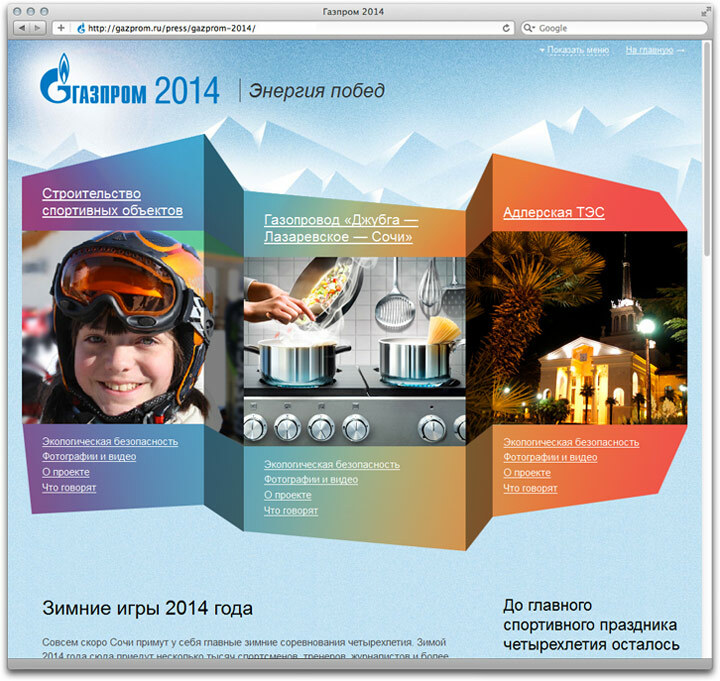 Each Part of the Gazprom-2014 project has a dedicated site section.